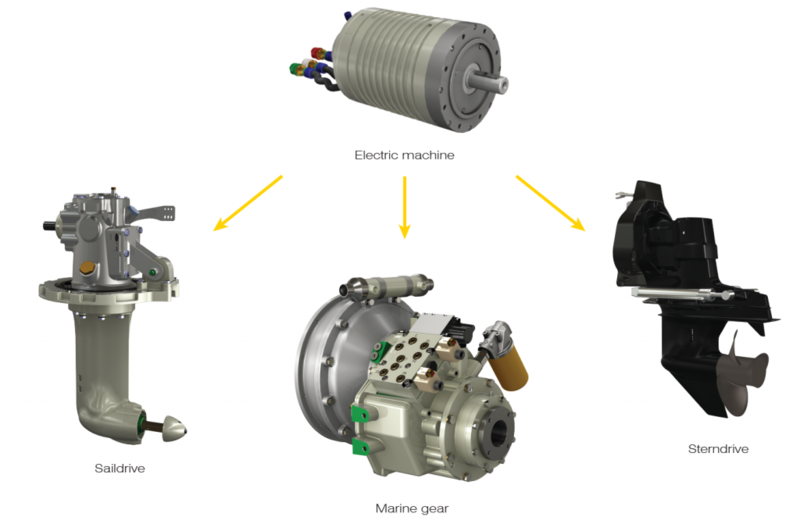 The innovative concept of the marine EPS (Electric Propulsion System) marine gear box REVERMATIC 11-700 RBD coupled to the electric motor allows you to maximize the maneuverability of the boat and to enhance the performance of the electric motor because, thanks to the reduction ratio of the marine gear , it is possible to size the propeller of the boat to the maximum power delivered by the electric motor, full exploiting the the motor features at 3000 rpm / min. 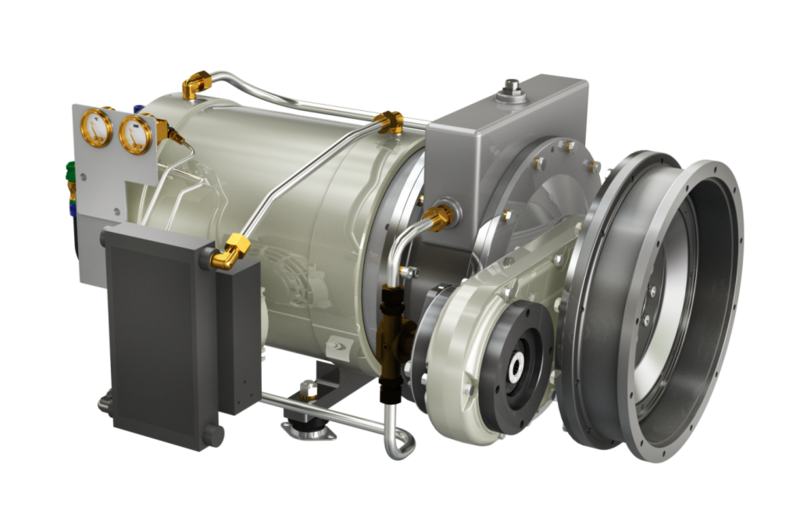 The reverse is performed by the marine gear REVERMATIC 11-700 RBD, preserving the electrical components from transient current peaks. 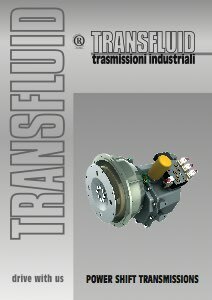 In addition, the system allows to be used as an extra drive system on engines of large power, connecting the output of the EPS system to the PTO, commonly called PTI of the installed marine transmission: also in this case the features and the performances previously mentioned are preserved. 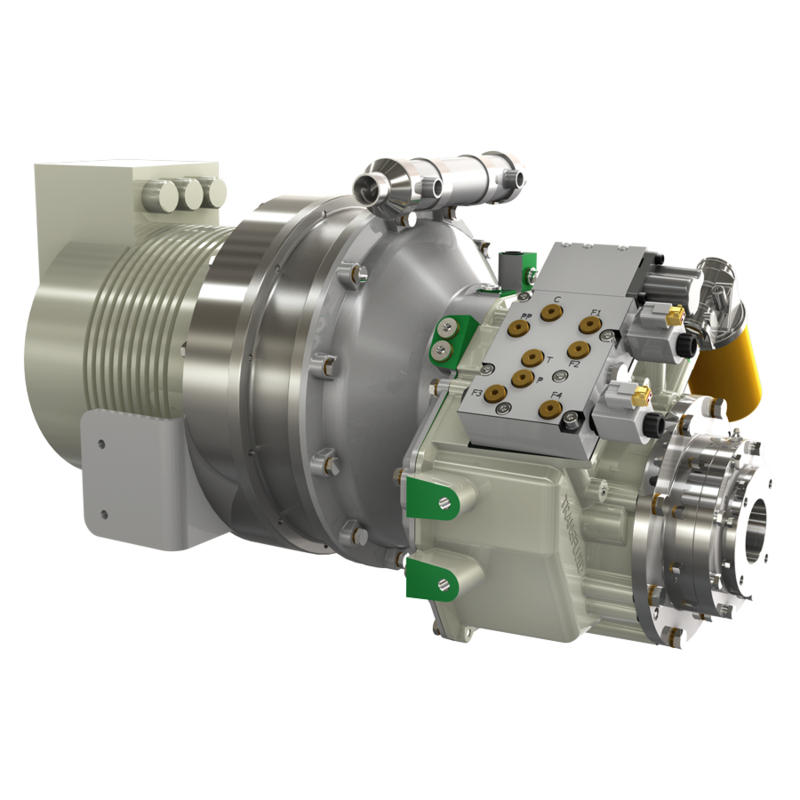 The addition of the DROP BOX DP280 mounted on the output of the EPS system, before to PTI, provides additional gear ratios and thus to optimize the electric motor. 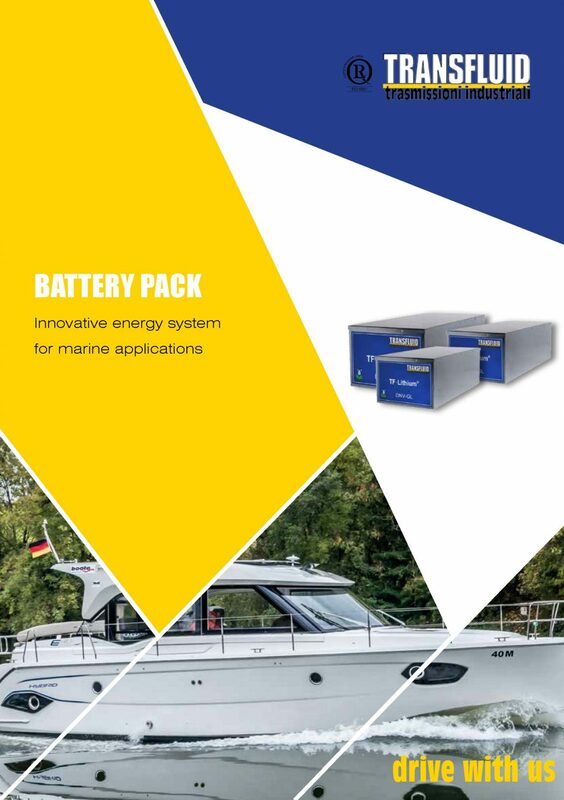 with an EPS system of 220 kg of contained dimensions powered at 300 V dc, it is possible to obtain on the PTI a torque of 2750 Nm, a very interesting value for the propulsion of large boats. 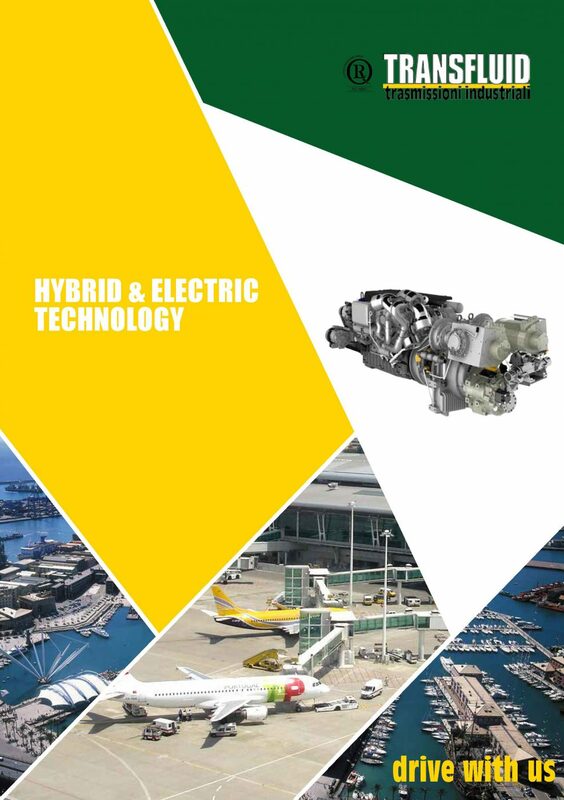 The Tier G engine can be purchased as a standalone component, or even better can be purchased with the complete set of accessories (management unit with display, battery, inverter, electric box, pedal, CANbus cables, etc.) 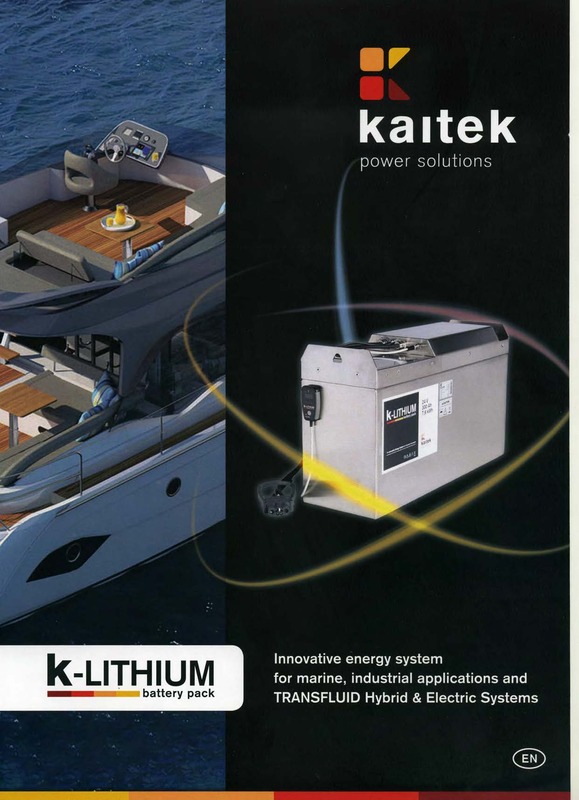 making it a plug&play solution to redesign an existing vessel and boat or conceive a new one. 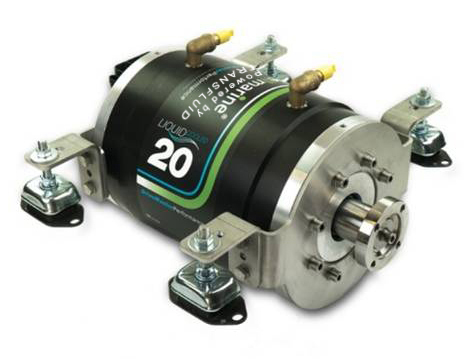 Do not hesitate to contact us for further details and a suggestion for your new propulsion system. 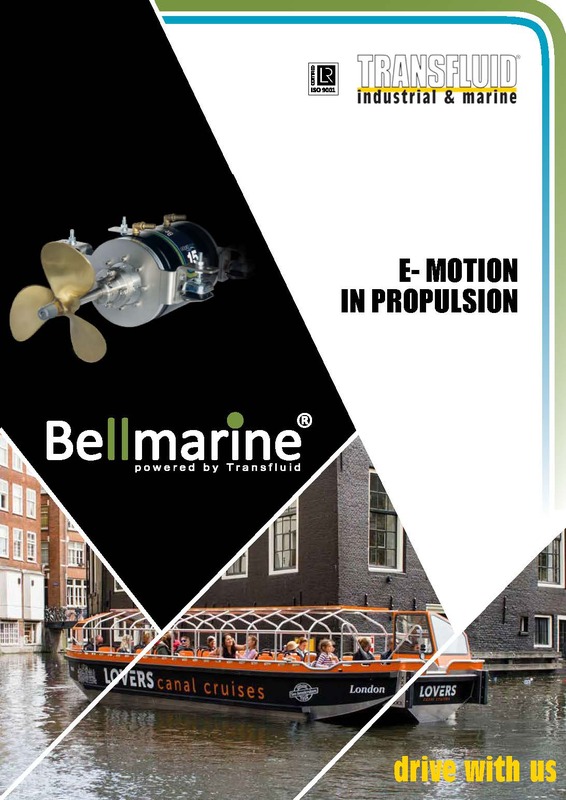 The Bellmarine brand, is the leader of electric propulsion in the Netherlands and is well established in the European market. 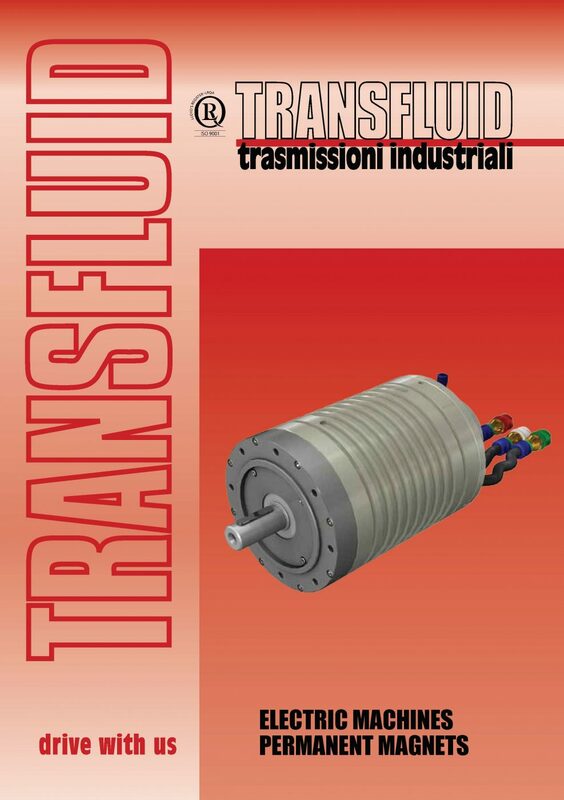 The joining of the two companies enables Transfluid to offer electric and hybrid solutions suitable for all kinds of marine, inland waters or off-shore applications as well as a range of electrical propulsion power that is unique to the world.